People believe a myth that a handwritten signature on a paper document is more legally binding than a digital signature. We’re accustomed to thinking of a physical signature as the act that makes a document legal and binding, but legally a digital signature carries the same weight as a pen-and-ink signature. Unless you’re having a document notarized, a pen-and-ink signature might be easier to contest than a digital signature. A physical signature carries no proof of when the document was signed or who signed it, other than the handwriting. Signatures can be forged, and handwritten dates can be falsified. With a digital signature, you have a data trail that shows the exact time the signature was affixed and the IP address of the person who signed the document. Depending on the system you use, you can even request proof of identity in order to access the signature function. With Cygnaturedepending on the sensitivity of the document you are signing, you can choose the type and combination of signatures like Electronic, Digital or Biometric & LIVE Cygnature.Cygnature uses blockchain and advanced cryptography to safeguard the signed documents from fraud and tampering. 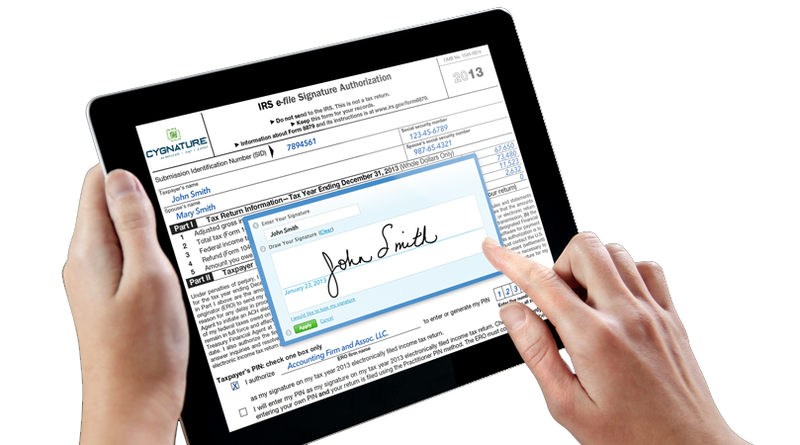 Customers are quite adaptive to the electronic signatures as it assures saving time and paperwork hassles. It becomes easy for the customers to store the documents on cloud and need not carry them or keep them safe every time. One biggest benefit for customers when they sign digitally is, they can sign documents anywhere and anytime, there is no limitation on signing. The foremost worry about document signing digitally is security. When you sign a document digitally you have records on who signed the document, when signed it, how signed it where signed it etc. so you are 100% aware about the signer. When you sign documents on Cygnature, itgives blockchain protection to the documents and uses multiple layers of protection for the login activity and access controls. The entire audit trail is recorded in blockchain and stored on secured servers. Know exactly where user has signed the document. Captures the GPS location of a document signature, whether it’s from a home computer or from a mobile device. As we can see Electronic signatures are accepted all over the world as legally binding and give even more security than the wet ink signatures, Companies can always opt to go paperless and move business processes towards more efficiency and bring in better experience for their customers too.